SAN FRANCISCO, U.S. — Silicon Valley startup Pooki’s Mahi announced today it relaunches decaffeinated 100% Kona coffee in recyclable pods compatible with 1.0 and 2.0 single serve coffee makers from sustainable mesh capsules delivering non-caffeinated Kona coffee to existing customers. Pooki’s Mahi Founder/CEO Leslie Magsalay-Zeller explains, “Pooki’s Mahi decaffeinated Kona coffee in 100% recyclable pods launched mid-2014. I transitioned Kona coffee pods product line into individually wrapped sustainable mesh pods per customers’ feedback. Pooki’s Mahi passes price increases for shipping, raw materials, and processing fees to customers. Pooki’s Mahi supply chain headquarters is in California. The Silicon Valley firm kicked off the MeowHattan Project to overhaul operations to support global growth. Pooki’s Mahi consolidated operations and supply chain to the West Coast. Pooki’s Mahi terminated firms used in 2018 engaged in cyber-criminal activities, and egregious business conduct resulting in irreparable harm. Pooki’s Mahi selected new manufacturing facilities after a very lengthy review since 2012. The state of the art facilities passed Pooki’s Mahi Founder/CEO prolonged supply chain capability due diligence. Pod manufacturing facilities are registered, approved, and FDA certified. The cost to produce sustainable 100% Kona coffee pods for Pooki’s Mahi significantly increased. Firms used to create raw materials and manufacture individually wrapped mesh pods failed to meet Pooki’s Mahi stringent supply chain metrics, lost inventory, and business operations ceased to exist. Pooki’s Mahi FDA certified manufacturing facilities would pass savings to manufacture recyclable pods to existing customers. Pooki’s Mahi manufacturing facilities use licensed Q-Graders and a sensory panel to finalize quality of each capsule, Kona coffee roast profile and finalize the bill of material specs. Nutrition information, California Prop 65 and product information are designed onto Pooki’s Mahi ship-ready packaging. Leslie Magsalay-Zeller designed decaffeinated 100% Kona coffee pods to meet existing customers’ requirements. Each decaffeinated Kona coffee pods are nitrogen flushed, formed with a high oxygen barrier, and compatible with coffee makers using 1.0 and 2.0 single serve brewing technologies. Pooki’s Mahi decaffeinated Kona coffee uses certified 100% Kona coffee beans sourced from Kona, Hawaii through direct trade relationships. 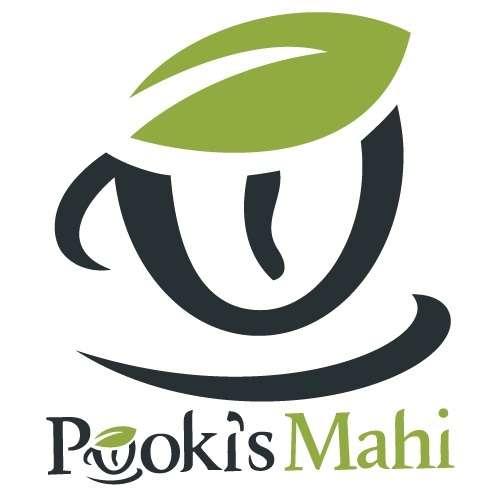 Pooki’s Mahi plans on expanding the decaffeinated coffee pods and caffeine-free tea pods in 2019 with a variety pack of decaffeinated capsules. Pooki’s Mahi Decaf Kona coffee pods are available as a limited edition to a small number of approved resellers. Select retailers like international grocery chains and global marketplaces will begin shipping Pooki’s Mahi decaffeinated Kona coffee in early 2019. Pooki’s Mahi Founder/CEO Leslie Magsalay-Zeller manages the supply chain. Pooki’s Mahi controls Design, manufacturing, and distribution of the prized Kona coffee capsules. Decaffeinated Kona coffee is available for purchase on Pooki’s Mahi as a coffee subscription, or through the wholesale coffee club or as an approved VIP Reseller Distributor. Certificate of Insurance is required to resell Pooki’s Mahi Decaf Kona coffee pods. The Silicon Valley company has grown without a loan or venture funding. Pooki’s Mahi uses Founder/CEO Leslie Magsalay-Zeller’s product lifecycle management framework, and a high tech approach to develop and launch new products and brands. The Silicon Valley firm focuses on manufacturing expensive 100% single origin specialty coffee under its Kona KaKao™, Kafpresso, and Kona Kafpresso brands; as well as Matcha Matcha Man® tea pods. For use in 1.0 and 2.0 single serve coffee makers. Pooki’s Mahi®, Matcha Matcha Man® has registered trademarks of Pooki’s Mahi. The PMO Practice™, Kona KaKao™, Koffee KaKao KaKao™, Kona Kafpresso™, and Kafpresso™ are trademarks of Pooki’s Mahi. New Product Launch Introductions, Go To Market Planning, and supply chain frameworks are protected under VA 1-924-170.